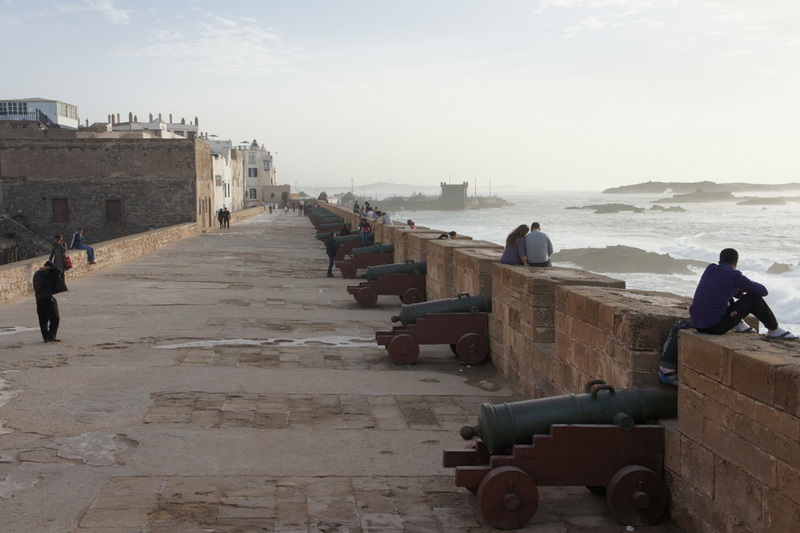 Situated on Morocco's Atlantic Coast, Essaouira is a laid-back city offering a relaxing medina with none of the stresses of the chaotic imperial cities. A bustling fishing port, this windy city is something of an artist's hub, with a thriving music and art scene. The large bay attracts wind and kite surfers and the vast sandy beach is a popular promenading spot. Because of the wind, this is not somewhere that you come to sunbathe and soak up the rays, but somewhere to breathe in the ocean air, eat freshly caught fish and enjoy the relaxed vibe. The old town is a traditional walled medina, but the French influence is to be found here, with small squares filled with cafes and restaurants. The lanes are filled with shops and stalls, but aimed at both residents and tourists, so you can walk through unaccosted, unlike the medinas of Marrakech and Fes. A popular holiday destination for Moroccans, rooms can book up fast during the summer months. Many people choose to combine a visit to Essaouira with Marrakech as they offer such interesting and contrasting experiences of Morocco. Although there is an airport in Essaouira, it is not currently serviced by international flights from the UK, so your best bet is to fly to Marrakech. It is about a 2 1/2 hours drive from Marrakech. During the drive, look out for the many argan trees by the side of the road and the strange sight of the goats, which climb up the trees to eat the leaves and escape the heat of the sun. 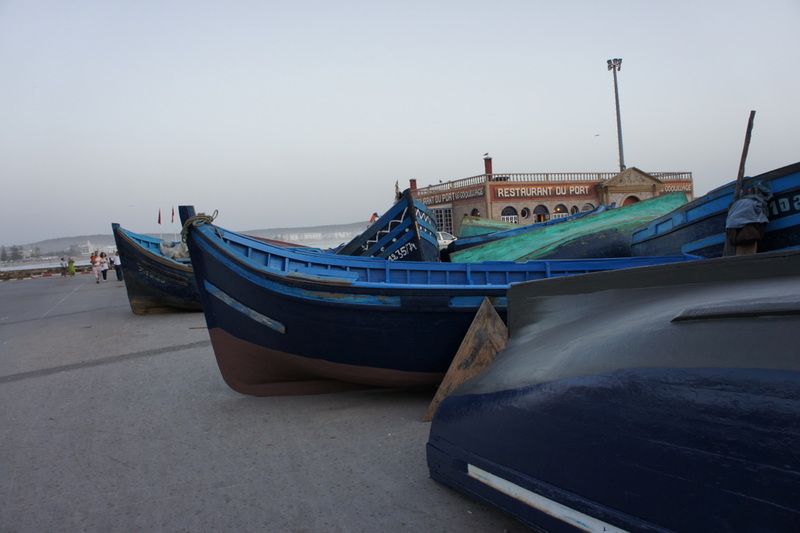 Once you are in Essaouira, everything is in walking distance, so there is no need for a car. 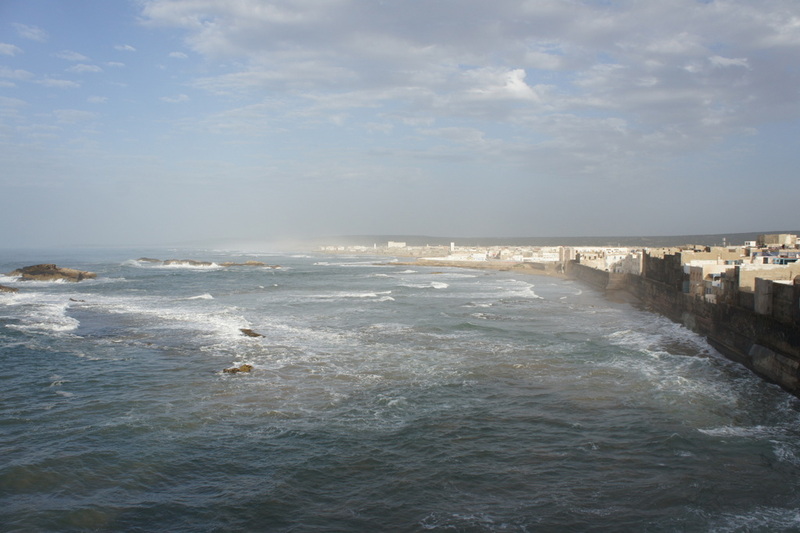 Essaouira's coastal location means that it enjoys a mild climate all year round. November - February are the wettest months, but the daily temperature rarely gets below 15C. In the summer months, there is little chance of rain. Daily temperatures tend to settle around the low 20'sC The wind picks up in the summer months, making this the best season for kite & wind surfing. Conversely, the larger surfing waves are found in the autumn and spring, with the summer conditions perfect for beginners. In the third weekend of June, Essoauira plays host to an interantional music festival, showcasing local Gnaoua and international music talent. At this time of year, rooms book up fast. You can either stay within the medina (old town) or in the newer part of town. 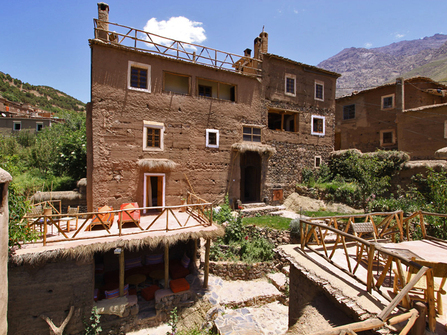 Accommodation in the old town consists of traditional riads and dars - houses built around courtyards with individual rooms and a communal roof terrace. Hotels in the new town have more space and so can offer the luxury of a pool. 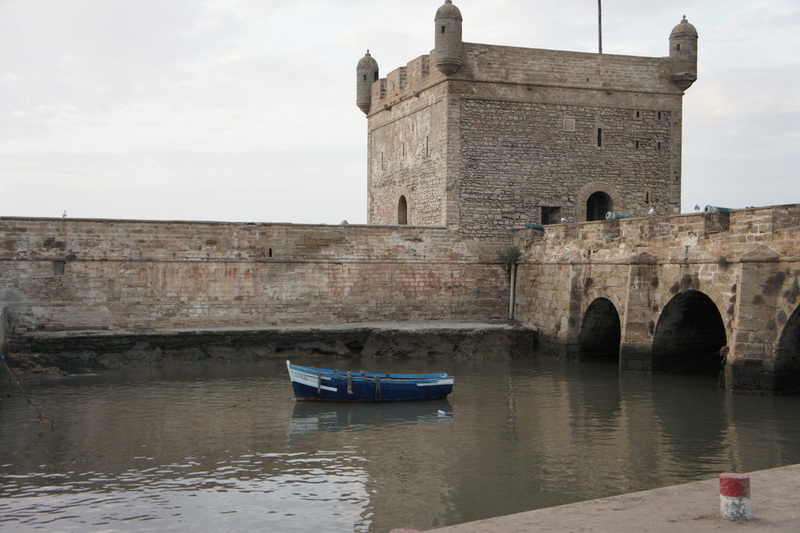 Even if you are staying the new town, it is just a 20 minute walk along the sea front to the medina. There are numerous restaurants to choose from in the old town. 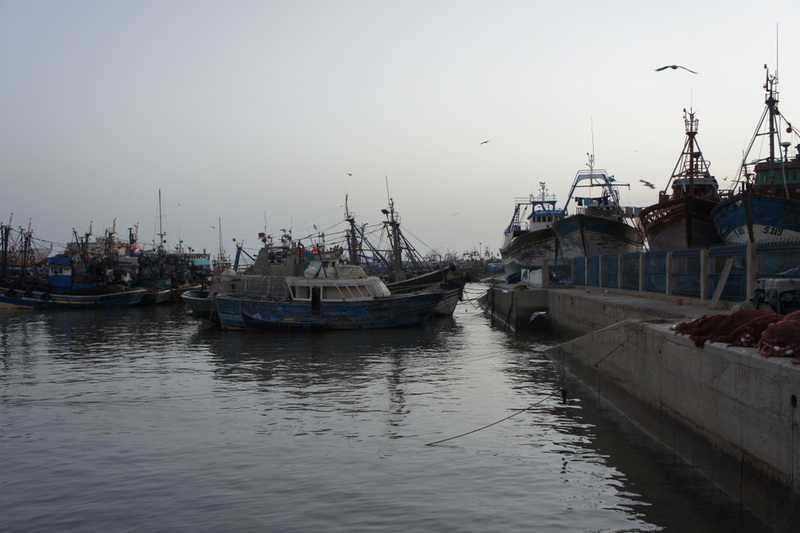 As Essaouira has a fishing harbour, fresh fish is the most popular item on menus. 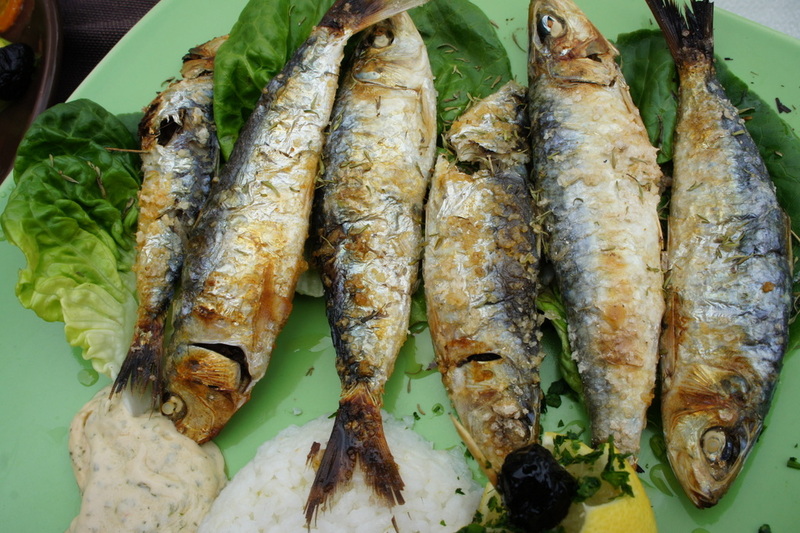 Grilled sardines, fresh catch of the day and fish tagine are all on offer. The more upmarket restaurants all serve alcohol. There aren't a huge amount of formal sites in Essoauira - it is primarial a place to go to relax and soak up the atmosphere. A walk on the town's ramparts is a must, as is a stroll through the medina and a visit to some of the artisan's stalls. 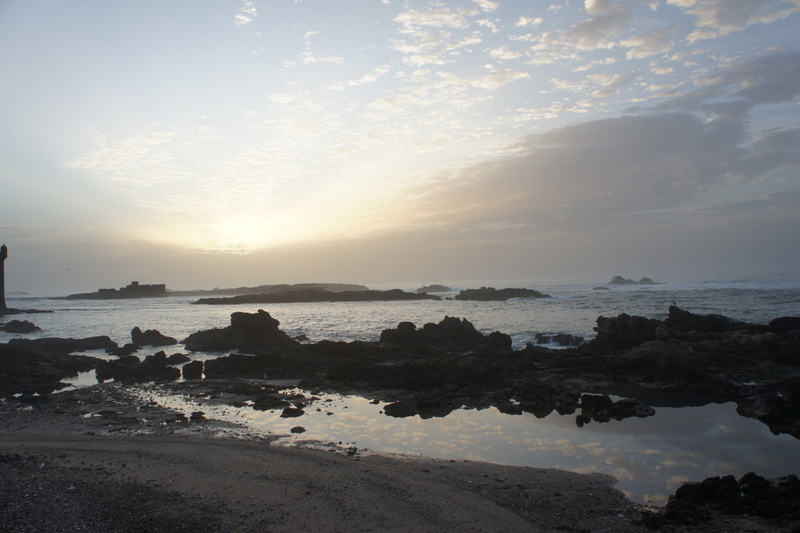 The large beach at Essaouira is ideal for walking and games of football, as well as quad biking and camel rides. For water sports enthusiasts, there is wind surfing and kite surfing on offer and plenty of places where you can rent the necessary gear. Essaouira bay is not the best place to surf, but there are plenty of excellent (and relatively undiscovered) surf spots close by. If you are wanting a short break from the UK, then it is possible to visit in a long weekend. 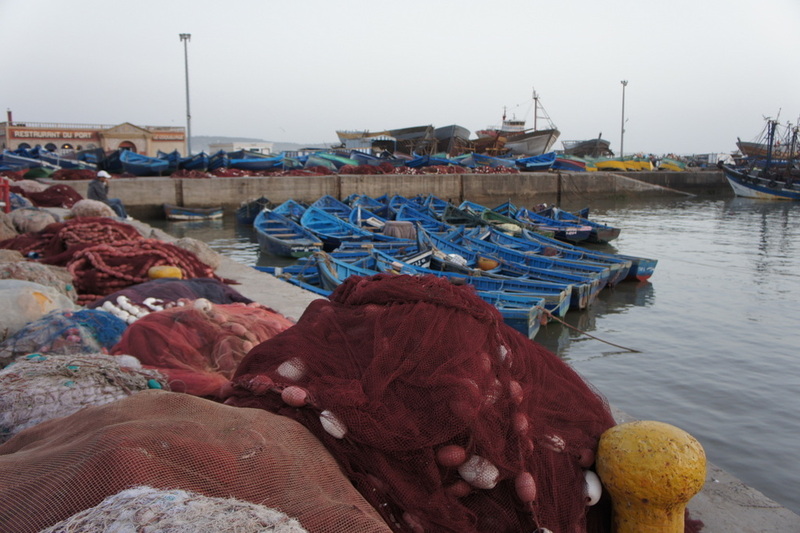 If you want to combine a visit to Essaouira with Marrakech, or the Atlas Mountains, please contact us.